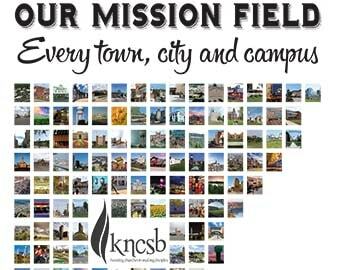 Week of Prayer for International Missions will be held Dec. 2-9. Many Southern Baptist churches collect the Lottie Moon Christmas Offering for International Missions® during this time. Lottie Moon was a legendary Southern Baptist missionary who served in China for 39 years. She was appointed as a missionary in 1873 and served until her death on Dec. 24, 1912. Why was the offering named for Lottie Moon? Throughout her career, Lottie Moon wrote many letters home, urging Southern Baptists to greater missions involvement and support. One of these letters triggered Southern Baptists’ first Christmas offering for international missions in 1888 — enough to send three new missionaries to China. What is the Lottie Moon Christmas Offering®? Southern Baptist churches collect the Lottie Moon Christmas Offering® for the sole purpose of supporting international missions. Every penny of the offering goes to the International Mission Board’s overseas budget. The offering provides the largest portion of the IMB’s income — nearly 60 percent.